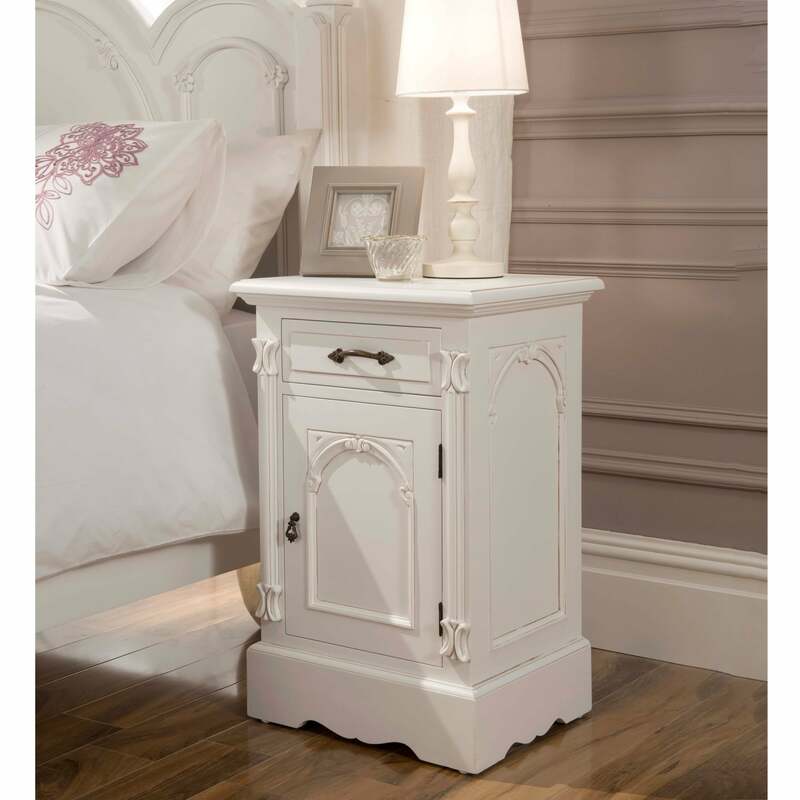 This marvelous bedside adds a lovely charm to your bedroom. The beautiful antique French style carries much additional beauty, providing character and elegance especially when co-ordinated alongside our Shabby Chic French Interior. Crafted and finished to a high standard using only the finest of materials, the quality of this bedside will astound. Guaranteed to add aesthetics in your bedroom, this is an amazing item that will be welcomed into many homes. All orders over £600 will have free UK mainland delivery automatically applied. Delivery outside UK mainland (including Scottish Highlands & Northern Ireland) please contact us for a delivery quote. For delivery quotes outside of the UK mainland (including Scottish Highlands & Northern Ireland) , please email your full delivery address and also the reference numbers of the items you're interested in. Delivery time frame will be approximately 3 - 21 working days for items that are in stock. Once the item is ready to be dispatched we will contact you to arrange a convenient day for delivery, as a signature is always required. Delivery time frame to us will be approximately 4 - 16 weeks for items that are not in stock. Once the item is ready to be dispatched we will contact you to arrange a convenient day for delivery, as a signature is always required. You will be contacted via email with an update on your order within 72 working hours. We will continue with follow up emails on the progress of your order as we receive your items in stock. © 2019 Homesdirect 365. All Rights Reserved.